NiCOLE BUCKLEY : ALL IRELAND WINNER. 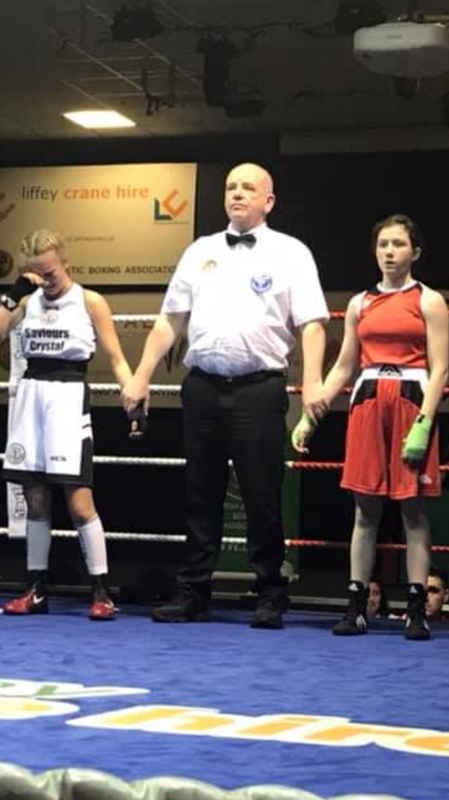 Huge congratulations to Nicole in TY who won her fifth Irish ttle and another All Ireland Medal two weeks ago at the National Stadium. 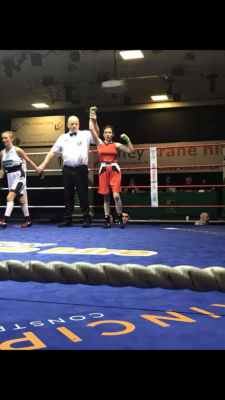 She boxed against Donna O Reilly from Waterford and she stopped her in the first round. 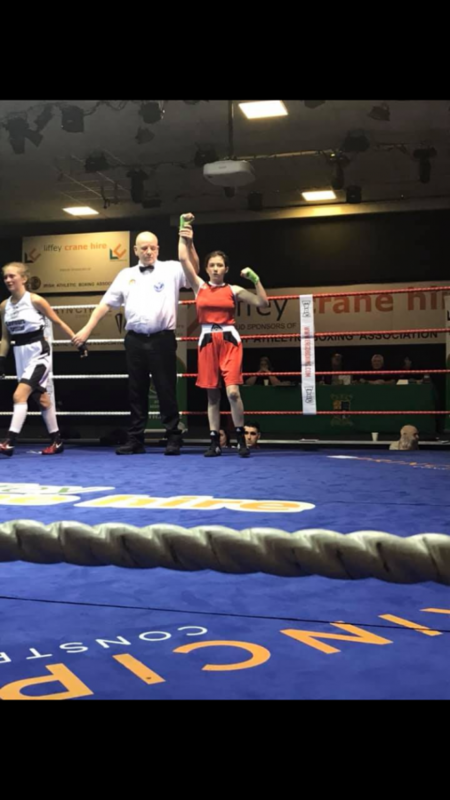 Nicole fights in the 43kg division and her club is St Carthages. 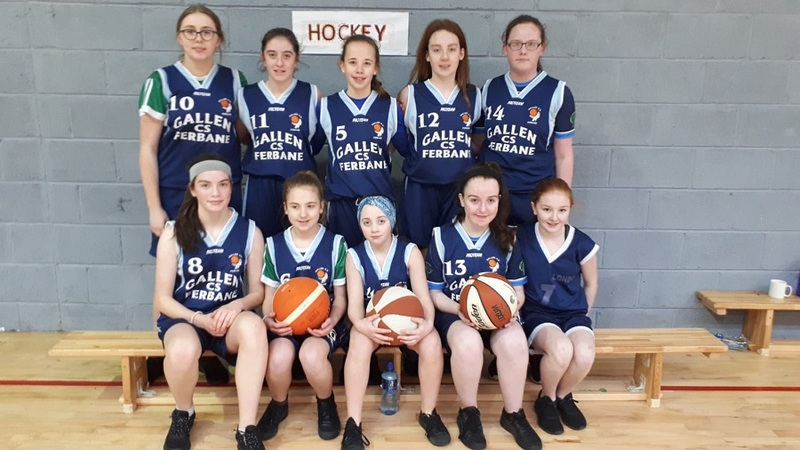 Nicole is a fantastic role model to younger students in her school and her community and is extremely modest about her hard work and dedication to her sport. WELL DONE NICOLE FROM ALL IN GALLEN CS ! Laois Offaly held their inaugural Youth Awards in the Killeshin Hotel Portlaoise a few weeks ago. The school had nominated several students in the Individual Award section . There were 85 young people nominated across the two counties for 19 awards. We are delighted that Ross McLoughlin in fifth year received a regional award. His citation included the following ” Last year, as part of a Foroige Leadership Project, Ross wanted to ensure younger children in his community were aware of and appreciated their cultural and historical past. He recognized that he could preserve some local Oral History by interviewing and recording some older people in his community. He complied this work together and presented it in booklet form to his former primary school St Mary’s Pullough and has a copy for Tullamore Library too. For his example of student leadership in Gallen Community School to date, for the appreciation of his community and the importance of preservation of local history for younger generations, for his capacity and potential for community leadership in the future, Ross McLoughlin is a worthy recipient of this Award.”. 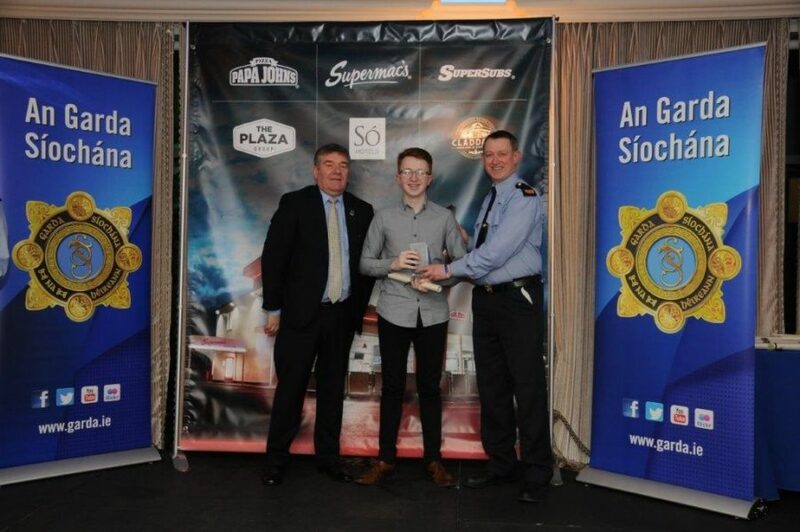 Ross was presented with his award by Superintendent John Scanlan Laois-Offaly Garda Division, Pat McDonagh Supermacs and main sponsor . 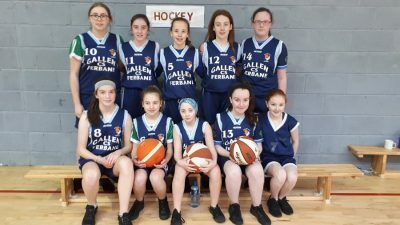 All the Gallen CS students were nominated by Mrs Ursula Finnegan for various local projects that they completed with Foroige and also for their peer leadership in Gallen CS.Thanks to Garda Grace Heffernan from Birr /Ferbane Division for highlighting this project to school management. 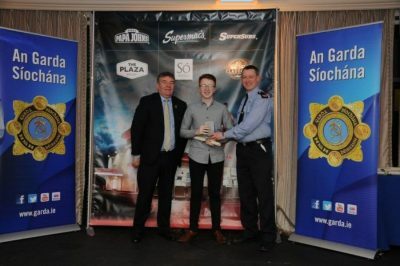 Following the District Award ceremony in February Inspector Eamon Curley from Birr presented certificates to all the nominees in the Youth Café in Birr on Friday 5th April at 7.30p.m . Shane Coughlan, Adam Fletcher, Ross McLoughlin (District winner) and John Dunican were presented with certificates as was past student Joshua Connon who was nominated by Barbara Daly in the “overcoming adversity to make a dofference category”. Inspector Curley spoke of his gratitude to the schools who recognised young people who make a difference in their communities and hoped that this inaugural awards will be an annual event from now on. 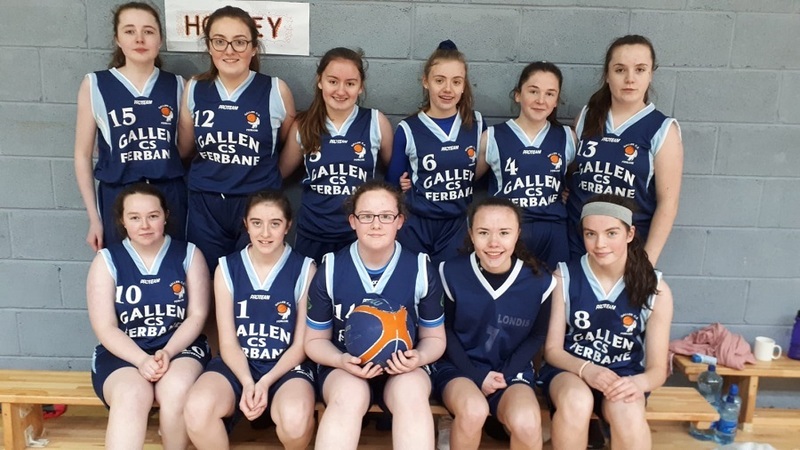 BASKETBALL: It is great to see Gallen CS able to field two teams for basketball this term , both first year girls and second years had games recently against Ardscoil Phadraig Granard. The first years won their game 24-10. 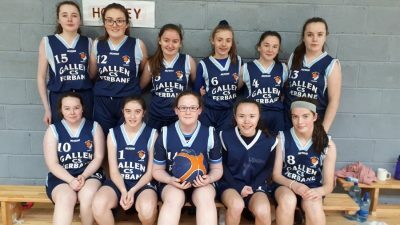 Thanks to Ms McKeogh for all your work with the girls.